It’s the beginning of a new year. A great time to reflect back on the past and decide what I’m going to continue to do and what needs to change. In many ways 2015 was amazing. One of the most amazing things to happen was becoming a moderator for The Yarniacs Podcast Ravelry group. It has given me so much joy. The group is filled with wonderful people from all over the world. I consider many of them to be friends; I only hope I get to meet them IRL someday. I had no idea when I started to knit that it would open my world and heart so much. I purchased a spinning wheel at SAFF in November. Almost 4 years to the day after I learned how to knit and fell down this wonderful rabbit hole. It’s a gorgeous Schacht Cherry Matchless. I doubt I’ll ever outgrow it. Of course, that doesn’t mean it’s the only wheel I’ll ever own. Eventually I need to get a travel wheel since this can’t go with me if I’m flying. 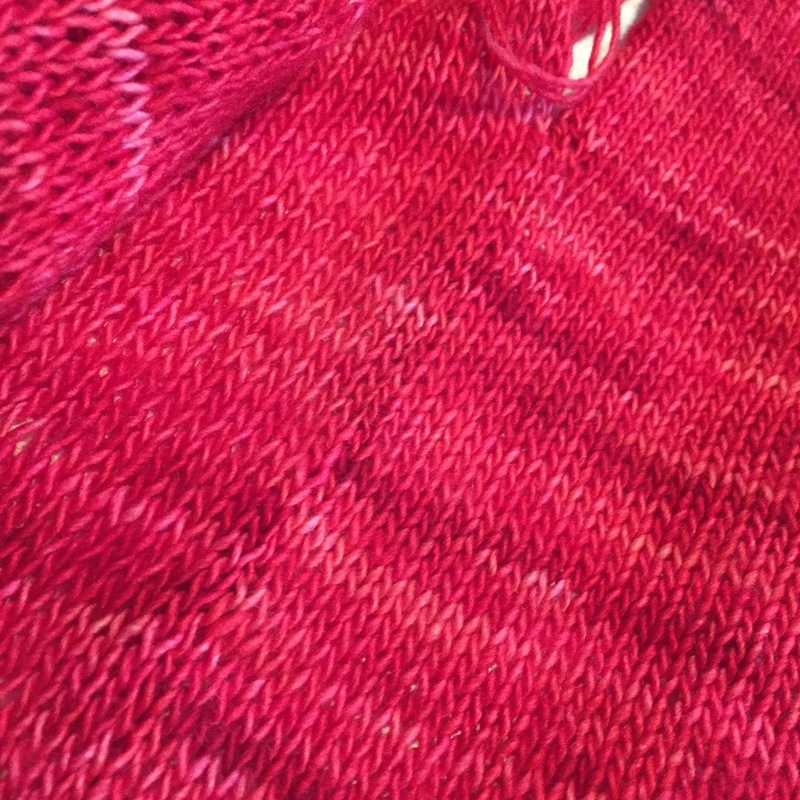 And… I knit my first sweater. I bought the sweater quantify of Malabrigo Rios at A Stitch in Time in December 2012. It tried to become 3 different sweaters before I finally decided to knit Joji Locatelli‘s Worsted Boxy. That’s enough for now. I’m still sorting thru my 2016 goals / theme. I’ve been knitting just over 4 years. It’s become an obsession. I love the feel of yarn flowing thru my fingers as I create a fabric. A couple years ago, I went to Stitches South and took Margaret Fisher‘s “7 Things that can ‘make or break’ a sweater” class. When going thru her bio, she mentioned that she was a Master Knitter. Her sample garments were exquisite. Couture hand knits, not “home made”. Last year I started listening to the “Mastering the Knits” podcast. Natalie and Alicia discuss their Master Knitter journey. At the Zombie Knitpacolypse this past June, I met Jennifer (aka Daizie) who is also in the program. Jennifer recently passed Level 1! YAY!!! A couple months ago, I knit my first sweater for me, Boxy by Joji Locatelli. It’s simple, over-sized and I love it. While knitting this, I had to attempt a few new techniques and struggled with some of them. I want to make sweaters that look that good and fit me well. If I’m going to do this, I need to up my game. 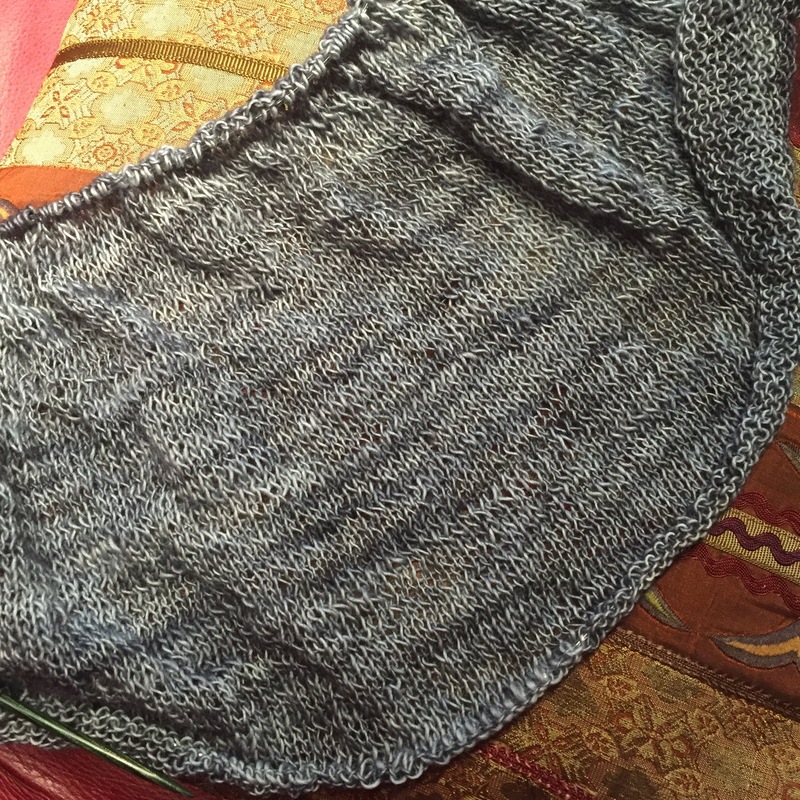 So… I decided a couple months ago to start on my master knitter journey. Before signing up, I thought it would be a ‘piece of cake’. HA!!! It’s going to require discipline and practice. But… I know the journey will be worth it. My first attempt (of many, I’m sure) at swatch 1. Some people want to go to the beach, others have family barbecues. We do it a bit different. Saturday, went to the Jacksonville Jazz Festival. The day was cut short because of threatening rain. Yesterday, we saw Tomorrowland. We both enjoyed it. It wasn’t an Oscar-winner but definitely was entertaining. (clearly, I’m not a film critic, no elaborate post on the movie from me!) After the movie we wnt to one of our favorite restaurants for dinner, Picasso’s. We’ve never had a bad meal there. I’ve also had lots of knitting time (a critical part of any good weekend). 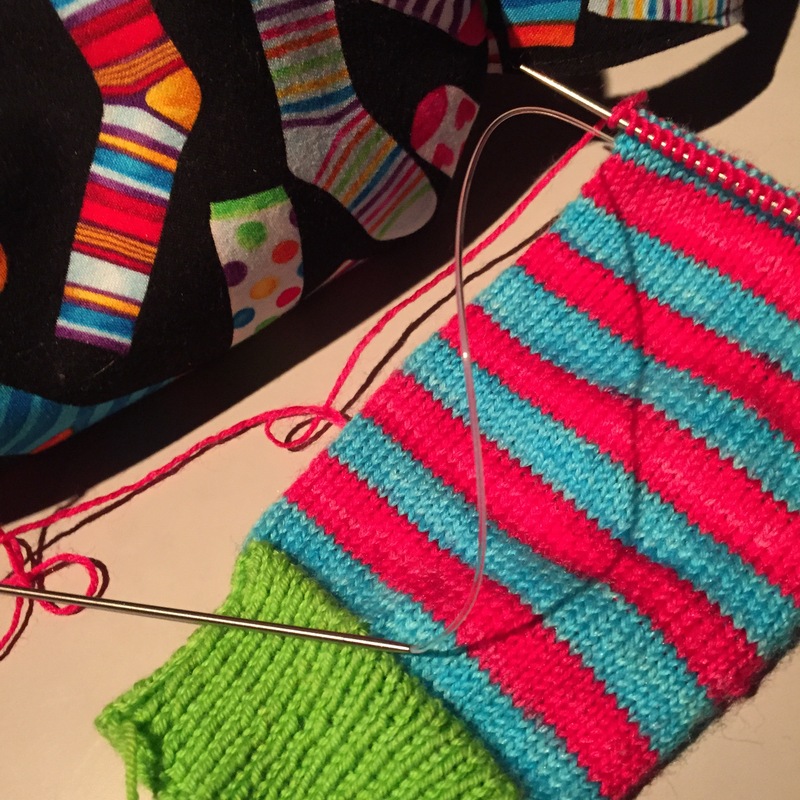 I made good progress on my newest pair of socks. I’m about 3 inches into the foot of the first sock. I really do zoom on my 9-inch circular. Almost done with my 3 Color TML Cowl (the pattern is Joji Locatelli’s 3 Color Cashmere Cowl). 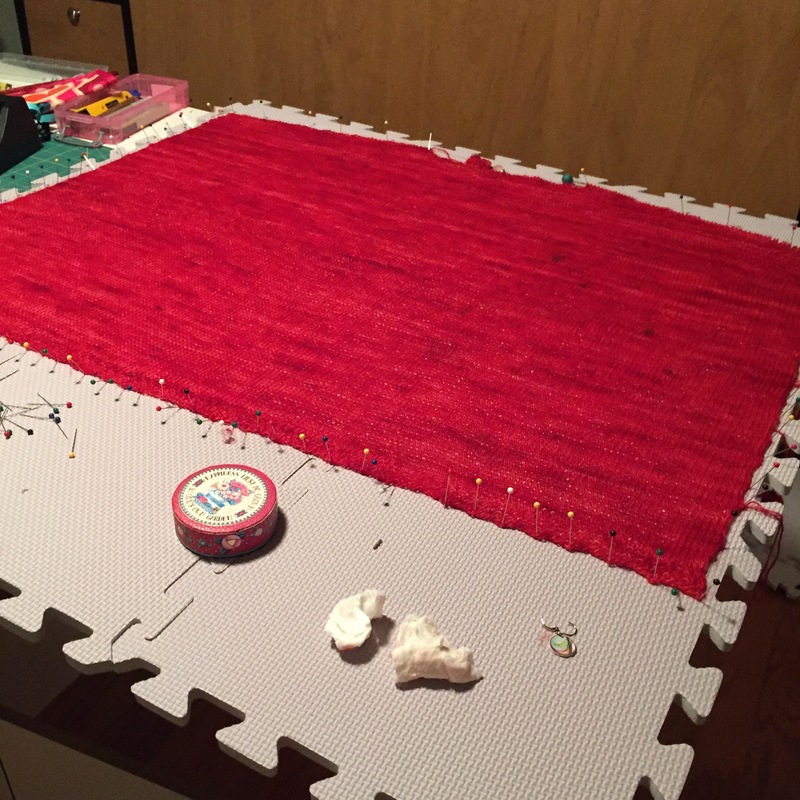 2 more rows and a bind-off to go. I just found this great alternative to the Kitchener stitch. It’s really the same thing but you use a third needle instead of a tapestry needle – TECHknitter’s knitted graft stitch. I wish I’d heard about this 2 weeks ago when I was on a day trip with friends and didn’t have (actually had but couldn’t find) a tapestry needle. Some people believe you should spend the 1st day of a new year doing those things you want to have in your life all year. For me, that will be casting on a new knitting project. I’m using stash yarn that’s very yummy and knitting Stucco by Rose Beck. I hope that all goes well in case the belief is true so my knitting goes smoothly this year. Last year, my first yarn/pattern combination was a major fail. The yarn was too fine for the pattern and needle combination. 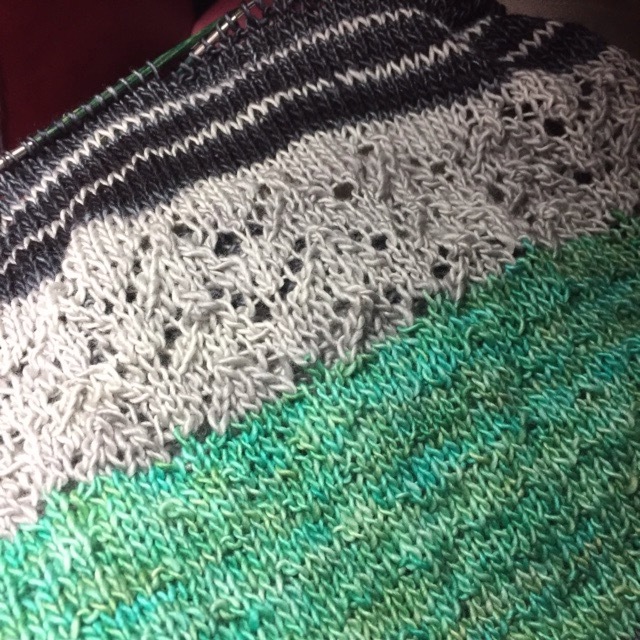 I also had trouble following the lace pattern. 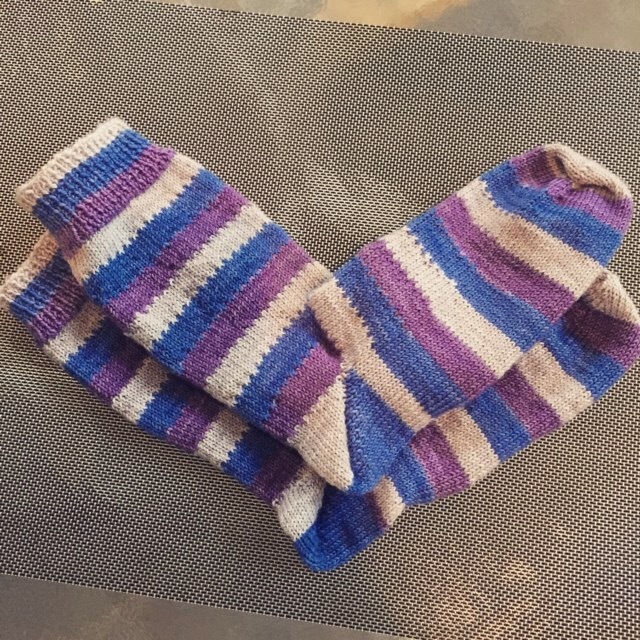 In 2013, I had one other knitting oops – my Monkey Socks, pattern by Cookie A, is still in time out. So, here’s to a new year and new (and hopefully successful) knitting adventures! Also, check out my tips page – I just added a new video on knitting backwards. Taking the leap! Will anyone care? Wow! This is harder than I imagined. Writing something that others might actually see. Oh, well . . . here goes. I’ve learned so much in the 2 years since I took my 1st knitting lesson. So much of what I’ve learned has come from blog posts and audio and video podcasts. I feel it’s time to give back / share with others. Or… if no one ever reads it, it’s just a place to organize my thoughts and the knitting tips I’ve found. I’ll be trying to organize the tips I’ve found on Ravelry, the podcasts and blogs that I follow and my favorite knitting-related vendors. I’ll share what I’m working on, the patterns I’m thinking about knitting and more. I hope you bear with me while I sort thru this. Thanks for reading! Be back soon!